For the first time, researchers have used 3D scanning on Tasmanian Museum and Art Gallery (TMAG) thylacine specimens to reveal new information about the growth and development of this iconic species. The thylacine (Thylacinus cynocephalus), or Tasmanian tiger, remains the subject of fascination despite the last known animal dying in Hobart Zoo in 1936. 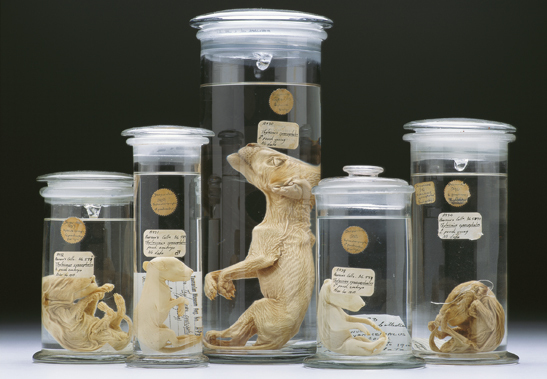 Unable to study the living species, researchers CT-scanned all 13 known Tasmanian tiger joey specimens from collections worldwide, including five specimens belonging to TMAG, to create 3D digital models. These models have allowed researchers to study the thylacines’ skeletons and internal organs, and reconstruct their growth and development. The research, led by the University of Melbourne and Museums Victoria in conjunction with TMAG and an international team of scientists, is published today in the scientific journal, Royal Society Open Science. “Until now, there have only been limited details on its growth and development,” lead researcher, PhD student Axel Newton said. 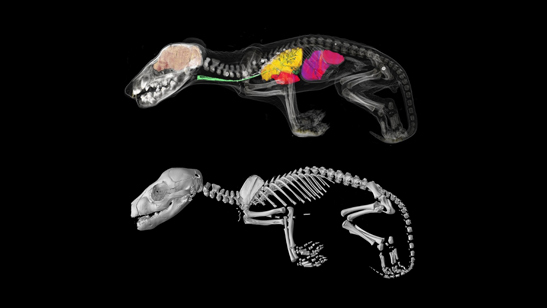 Associate Professor Andrew Pask from the University of Melbourne said that the use of non-invasive x-ray micro-CT scanning technology was an incredibly effective technique to study the skeletal anatomy of the specimens without causing any damage to them. “This research clearly demonstrates the power of CT technology,” Associate Professor Pask said. 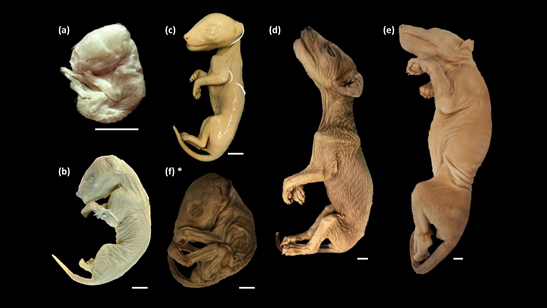 “It has allowed us to scan all the known thylacine joey specimens in the world, and study their internal structures in high resolution without having to dissect or cause damage to the specimen. The study has also revealed the incorrect classification of two specimens held in the TMAG collection. Instead, they are most likely to be quolls or Tasmanian devils, based on the number of vertebrate and presence of large epipubic bones (specialised bones that support the pouch in modern marsupials). TMAG’s Senior Curator of Vertebrate Zoology Kathryn Medlock, who co-authored the paper, said that the museum had received many requests to dissect its pouch young over the years but they were always refused. “One of the major advantages of this new technology is that it has enabled us to do research and answer many questions without destruction of the sample specimens,” Ms Medlock said. The TMAG specimens that were found to be misidentified came to the museum before 1934. The original label was hand written by Dennis Colbron-Pearse who was employed as an art curator, but also worked as secretary of the Tasmanian Biological Survey. He labelled them as thylacines. However, on close examination of the original label a faint question mark is visible. There are no other records of these specimens in the museum archives. In the 1970s, the specimens were formally registered into the TMAG collection and at that time they were positively identified as thylacine. TMAG is currently undertaking further investigations to reveal their true identity. “An exciting outcome of the research is that the 3D digital Tasmanian tiger models are to be made publicly available as a resource for current and future researchers,” Ms Medlock said. The full paper is available to download at the Royal Society Open Source website. (top) Thylacine pouch young specimens, Thylacinus cynocephalus. Collection: Tasmanian Museum and Art Gallery. (middle) Internal structures of Tasmanian tiger pouch young specimen belonging to TMAG. Image credit: University of Melbourne.